The Scottish Reformed Conference (SRC) is a unique event in the Scottish Christian calendar at which over 500 believers of all ages and denominations gather to know the benefit and blessing of faithful ministry of the highest calibre as well as the delight of warm, Christian fellowship. It is our prayer that God will continue to use the SRC to bless, encourage and inspire His people and to enable them to enjoy fellowship and friendship across denominational boundaries. This year’s conference will take place on Saturday 11th May 2019, at Hamilton College, Hamilton, ML3 0AY. Dr Sinclair Ferguson makes a very welcome return to our conference this Year. Dr Ferguson is the Chancellor’s Professor of Systematic Theology at Reformed Theological Seminary and a teaching fellow with Ligonier Ministries. He also exercises a much respected conference preaching ministry and is an author of international renown. Dr Ferguson is a former minister of St George’s Tron in Glasgow and of First Presbyterian Church of Columbia, South Carolina. 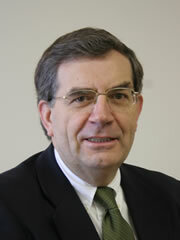 He is currently Associate Preacher and Elder at St Peter’s Free Church, Dundee. Dr Robert Murdock was born in Edinburgh and was converted as a teenager when his family moved to the Republic of Ireland. Robert trained at Faith Mission Bible College and worked with the mission before returning to study theology in Belfast. 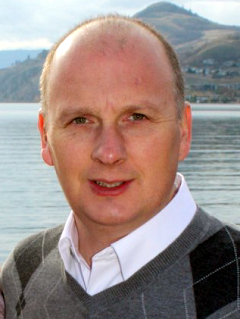 He was in pastoral ministry for almost 20 years, pastoring churches in Northern Ireland and, most recently, Canada. Since 2013 Dr Murdock has served as the Principal of Faith Mission Bible College, Edinburgh where he has endeavoured to teach the Bible in a dynamic and relevant way. Has been married to Elaine for 25 years and they have 5 children whose age ranges from 14 to 21.